Countdown to Christmas is underway as SM Malls in Marilao, San Jose Del Monte and Baliwag celebrate the most wonderful time of the year with unique centerpieces, special treats, and promos. SM Bulacan Malls are all decked out in Christmas trimmings inspired by the colorful carnival and unique centerpieces for selfies, groupies to post on social media. At SM City San Jose Del Monte, a magnificent 30-feet tall Christmas tree adorned the Santa Claus village at the mall’s event center. The glowing ensemble was a feast for the eyes as it was decorated with gold garlands, iridescent red and gold balls as well as warm fairy lights. 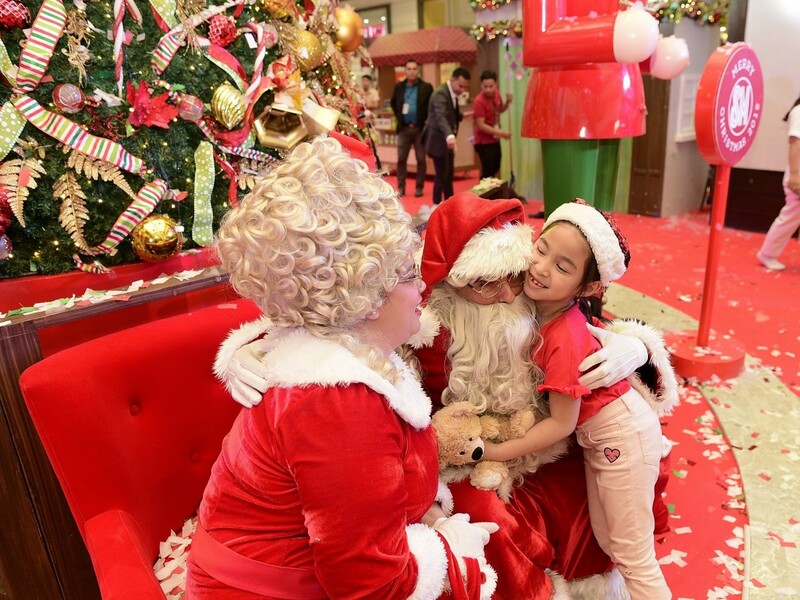 Shoppers instantly felt the magic of Santa’s home as they rode the life-size St. Nicholas sleigh. Traditional Christmas market stalls surround the Santa’s Village where shoppers can buy gifts for their loved ones. Mr. and Mrs. Santa Claus spread the love and joy by giving the SM Cares Bears of Joy – a program wherein shoppers are encouraged to buy a pair of teddy bear in which they get to keep one bear and donate the other, during the grand Christmas Launch at SM City San Jose del Monte. Yuletide drama unfurled at SM City Baliwag as it unveiled its 24 feet tall little drummer boy Christmas tree. Shoppers were delighted as they took family and group photos around the uniquely crafted gigantic drums, giant gift box and numerous life-size drummer boy figures. SM City Baliwag’s centerpiece reminds shoppers of the reason for the season. It reminded Christ as the reason for celebration through the story of the little drummer boy. As recalled, the little drummer boy was summoned by the Magi to the Nativity of Jesus. The little drummer boy played his drums as a gift for the infant Jesus. 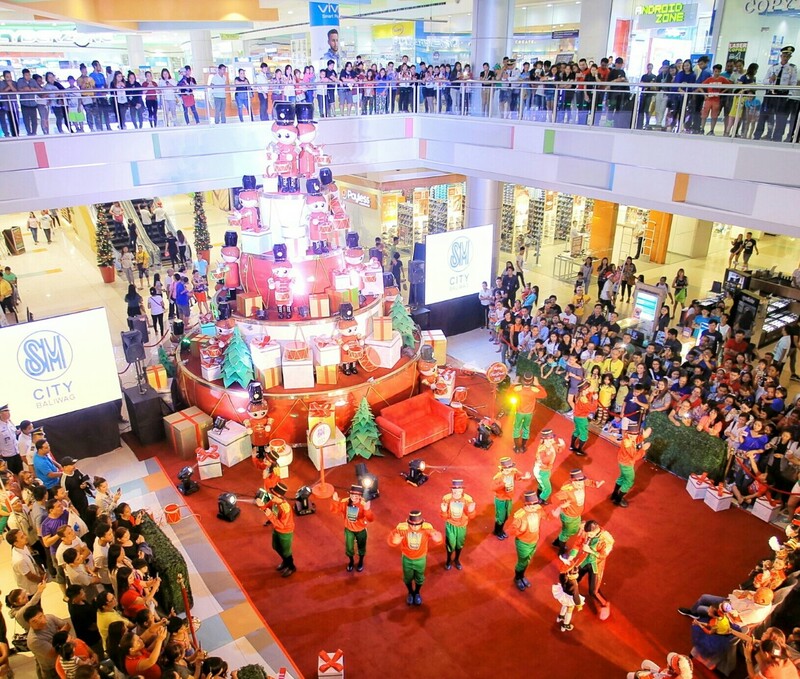 Beaming with joy, little drummer boys performed underneath SM City Baliwag’s 24 feet high and 21 feet wide Christmas tree. 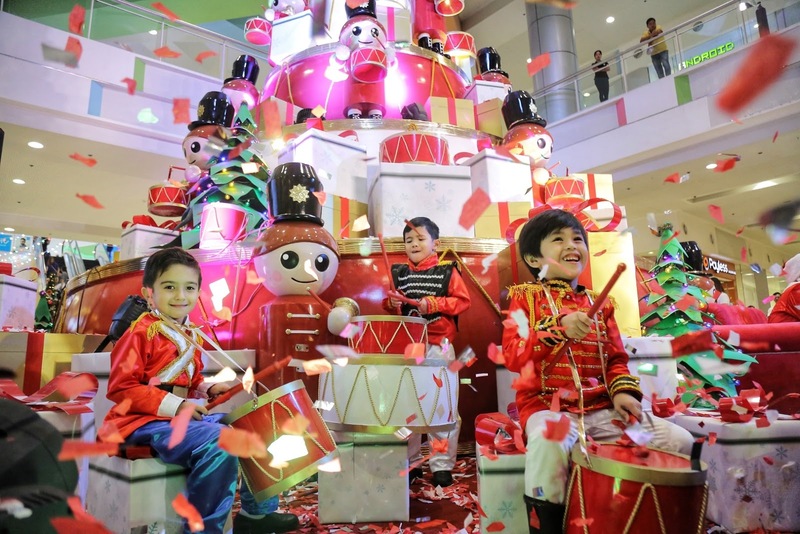 Yuletide drama unfurled at SM City Baliwag as it unveiled its 24 feet tall little drummer boy Christmas tree. Ecstatic crowd packed during the launched of SM City Marilao’s iconic Christmas centerpiece. This year’s centerpiece was Japanese inspired with modern recreation of the country’s traditional folk-art called Kokeshi dolls. These dolls are centuries-old craft that brings love, happiness, and harmony to families and to loved ones. The handcrafted life-size Kokeshi dolls adorned the 20 feet Christmas tree boxes. As tradition dictates, the intricately designed 5ft dolls served as seasonal centerpiece in the mall’s busiest atrium. The dolly Christmas centerpiece was also more picturesque than usual as host of stunning play of lights brighten it, with a sprinkle of snow. 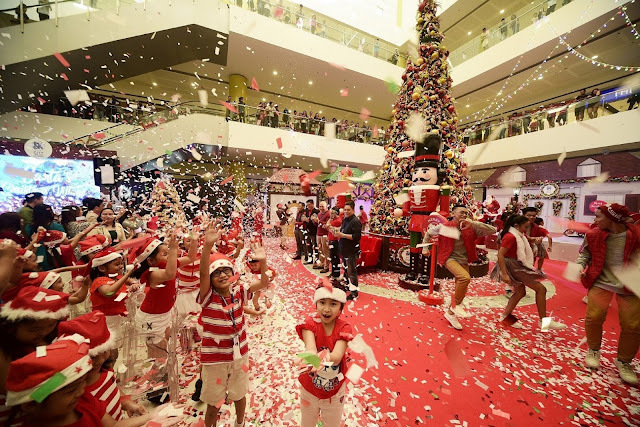 Santa Claus brings early Christmas cheers as kids revel in the artificial snowfall during the Dolly Christmas launch at SM City Marilao. The 20 ft snowy, dolly Christmas centerpiece serves as seasonal centerpiece in the mall’s busiest atrium. The centerpiece is Japanese inspired with modern recreation of the country’s traditional folk-art called Kokeshi dolls. Mall hours will be from 10AM to 10PM. Midnight madness is scheduled on December 14-15 and 21-23 for SM Malls in Marilao and San Jose Del Monte from 10AM to 12MN. SM City Baliwag will be opened from 10 AM to 11 PM on all weekends from Dec 8 to 23. Holiday rush schedule for December 24 and 31 is 9AM to 7PM.